Here we are down South at Dun Loaghaire harbour and at one of the berths is the Mail boat. with a case of small cases on it. Betty. " It was posted in Dun Loaghaire 9.15pm on the 22nd July 1947. 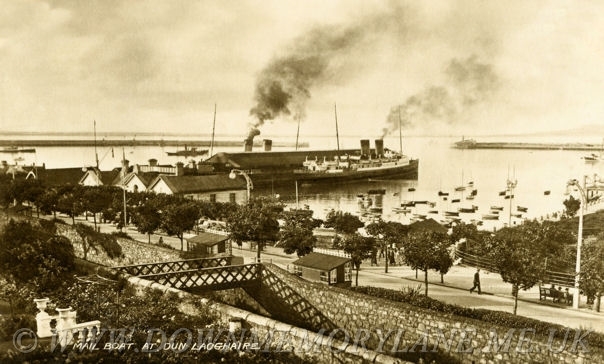 Dun Laoghaire would fall out attached together in concertina style, so you could put back and close the flap. On the back was written: To Miss Winnie McCord, Ballyquillan, Aldergrove, Co, Antrim. Hope you aren't missing us too badly ! The weather has improved and we are enjoying every minute of it. Betty and I have a lot to relate when we get back next Monday L Beth. 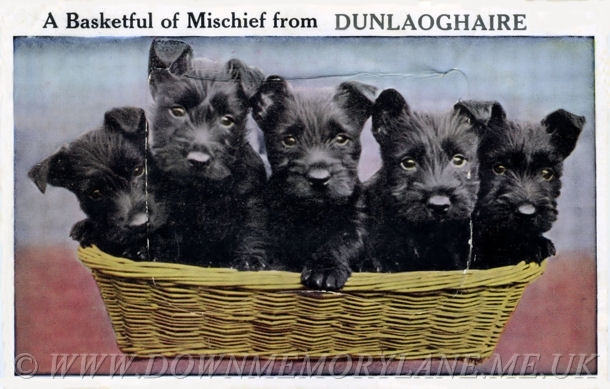 It was posted at Dun Loaghaire 10am on the 24 July 1947.